GPX export seems to be working, and imports fine into Google Earth. 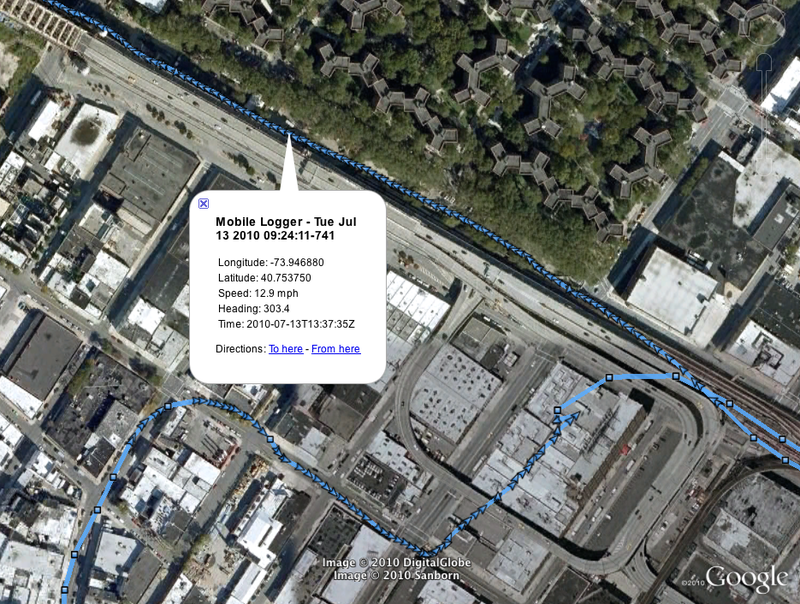 This is just a basic implementation of the essentials for a route; I’d really like to include other recorded sensors somehow into the track – maybe it could be a layer in Google Earth? 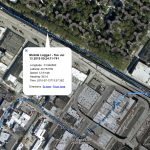 Looking at the ride data here reveals just how bad raw GPS data can be between tall buildings in NYC. Several data points often share the same GPS location. It seems that moving quickly with a clear path to the sky gives the best performance. The app also quit midway though the ride – I have to look into that. GPX export is available in the github repository. Basic GPX export has been added to the github repo. That is all. You are currently browsing the exploration blog archives for July, 2010. ©2008–2009 Robert Carlsen. All Rights Reserved.